Jill's guest this week on Dream Big is musician, activist, cancer survivor, and author Stewart Francke. Jill and Stewart discuss Stewart's decades long trials and tribulations and the coping mechanisms he has developed along the way to be able to see the silver lining in life. Detroit-area musician Stewart Francke — a blue-eyed soul singer/songwriter and guitarist whose inspirations include classic R&B, garage rock, roots rock, and folk — has been releasing albums since the early ’90s. Throughout the years he’s headlined his own shows with his stellar band of Detroit’s finest players, highlighted by opening gigs for dozens of national acts, from Sheryl Crow to Steve Earle. 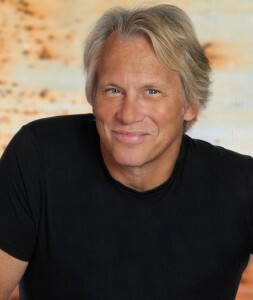 In 2011 He recorded a duet with Bruce Springsteen, “Summer Soldier.” After being diagnosed with leukemia in 1998, Francke continued to fight and eventually beat his disease. He continues to write and record, focusing his energy into his family, his craft and bone marrow donor activism.